If you developed or implemented PDM or PLM system, you probably know that definition of users, groups and roles are an essential piece of your implementation. The ability to set them and maintain within the time is very important and can influence many aspects of how a system performs and how business processes in the company will be managed. I’ve seen multiple implementations of users, groups and roles management tools and all of them looks pretty much the same. Recently, lots of conversations happen around a so-called “social” topic. In a nutshell, lots of these talks about how to streamline organizational processes as a result of re-use some of the experience social networking website and web 2.0 applications gathered for the last 3-5 years. Social networks have been challenged by a significant increase in the level of complexity. Systems growing to 10s and 100s million of users invested a lot in the development of mechanisms to group people and establish different mechanisms define users and groups. Privacy concern made a key role in forcing social networks to develop very sophisticated information sharing mechanisms. 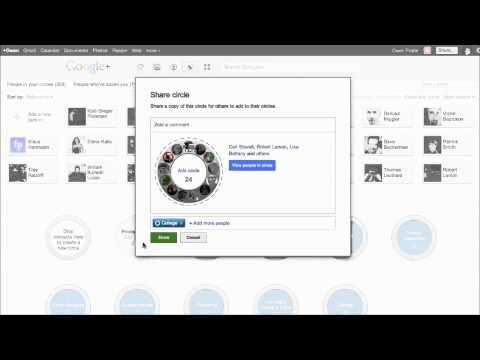 This feature made me think about how Google+ Circle Share feature can be used to share information between different people and teams across the organizations. The user experience is the key point here. Instead of running complicated tools you can help people to find a right person to connect in the organization based on the contextual information (i.e. people’s role, project belonging, etc.). Do you think the idea is completely crazy? Tell me what tools are you using, for the moment, in your organization?